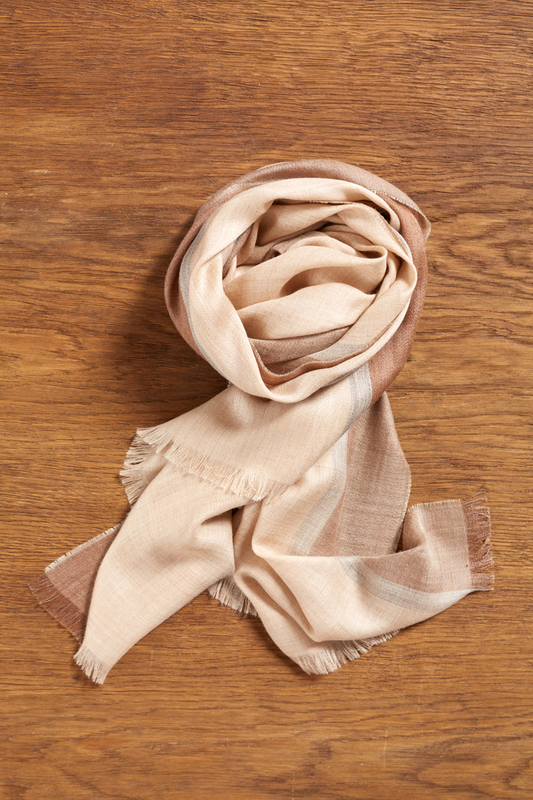 Woven in Peru from the finest baby alpaca fibre and a touch of silk, the Maya scarf has softly fringed edges. It is surprisingly warm for its weight and big enough to be worn as a wrap. This scarf is especially eco-friendly as the baby alpaca yarn has not been dyed, saving around 53 litres of water per 1kg of raw material. Kinder for skin, kinder for the environment. 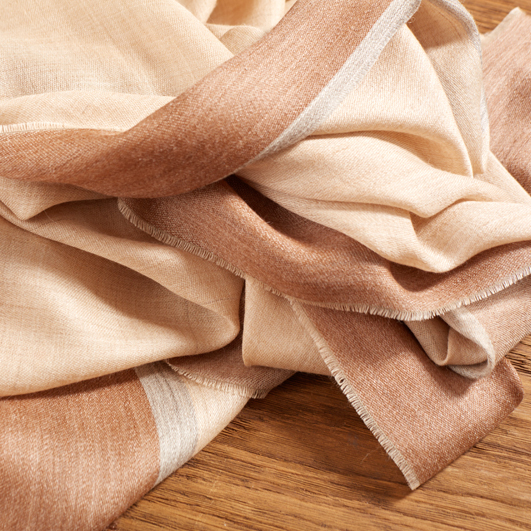 And the natural colours of the yarn create a beautiful neutral palette which works with any outfit, making the Maya scarf a superb gift.